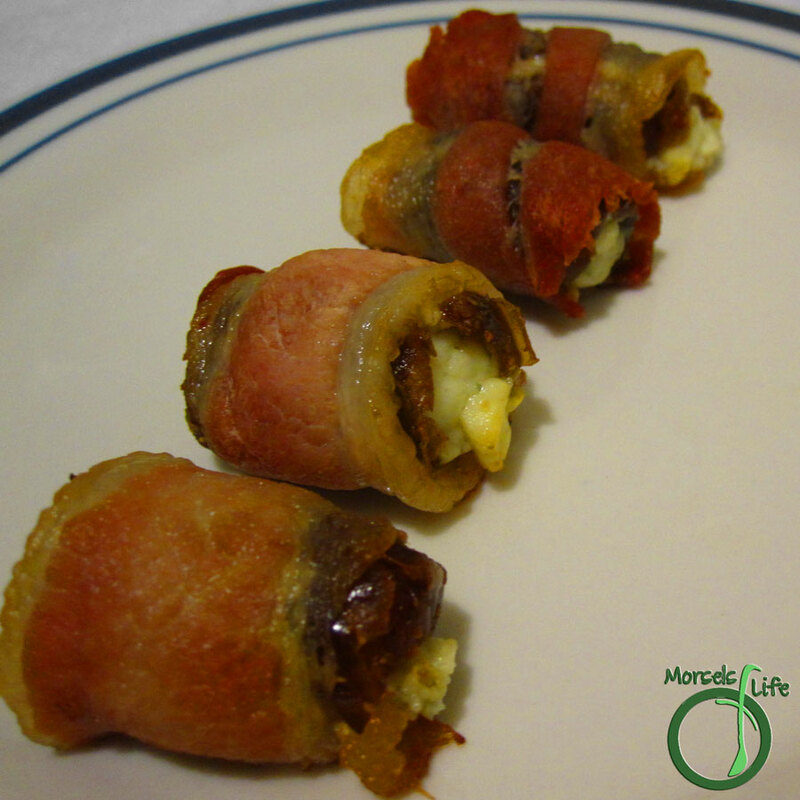 Bacon wrapped dates stuffed with blue cheese - a perfect combination of sweet, savory, and smoky. Have you ever made something far greater than its parts? Share with us in the comments! 15 dates, pitted I used Medjool dates. Stuff dates with blue cheese. As I stuffed the dates, I found it easier to tear the date on one side and then roll it around the cheese, but that's probably because I tried to overstuff the dates. Bake at 400F until the bacon crisps up a bit and the cheese gets melty.